Moles Removal Treatment in Rajouri Garden,West Delhi:Book Appointment. 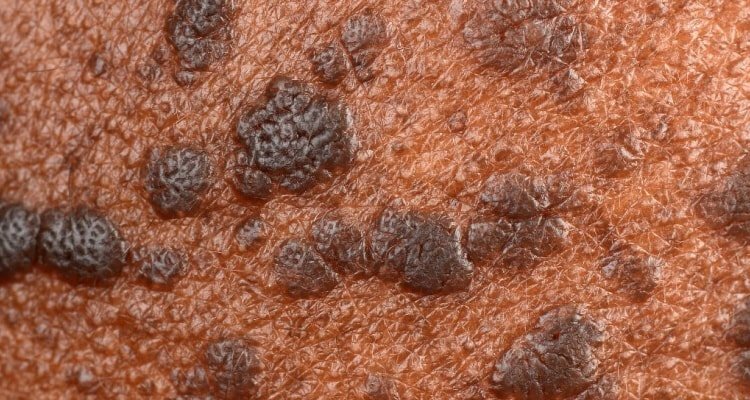 Warts are caused by human papillomavirus (HPV). Commonly, these viruses cause squamous epithelial cell proliferation and are found in the upper epidermis. At least 70 types of HPV exist but some types tend to be more common in certain body areas. Warts around fingernails are usually associated with nail-biting or picking and flat warts are seen on the face and back of the hands at times. Filiform (thread-like) and digitate (finger-like) warts are also not uncommon over the face. Genital warts usually occur as a result of transmission of the virus from contact with a person carrying the virus. Effective treatments that are available for warts include electrocautery or laser ablation. Molluscum is the viral infection that appears one week to six months after exposure to the virus. This infection is characterized by tiny and waxy bumps that are painless but have a thick white liquid inside. They can be found on any part of the body. Molluscum contagiosum spreads through direct contact with an infected person. This can happen during close physical contact. It can also be passed to other parts of the body by hands during scratching. Generally, just by looking at your skin your dermatologist can tell you that you have molluscum contagiosum. The treatment for this infection is focused on removal of the bumps either by laser ablation or electrocautery. Sexual partners and others who have direct contact with the person who has molluscum should be informed, so they can be checked and possibly treated with the proper medications and treatment. Corns and calluses are not contagious. They may become painful if they get too thick and not being treated with the proper treatment. They can lead to serious foot problems in the people having diabetes or decreased circulation. Corns often occur where a toe rubs against the interior of a shoe. Commonly, calluses develop on the balls of the feet of the women due to excessive pressure on the balls of the feet while they regularly wear high heels. Some people are more prone to corns and calluses who are suffering certain deformities of the foot, such as hammertoes etc. Corns and calluses typically have a rough, dull appearance. They may be raised or rounded, and sometimes cause pain. Mild corns and calluses may not require treatment. If the corn or callus isn't bothering you, it can probably be left alone. However, dermatologists suggest that you should find out the possible causes for the occurrence of corn or callus. If your footwear is contributing to the development of a corn or callus, it's time to change your footwear or add gel pad inserts to your footwear which may decrease friction points and pressure. Larger corns and calluses cause pain and discomfort or inhibiting your daily life in any way, so you need treatment before they become severe. 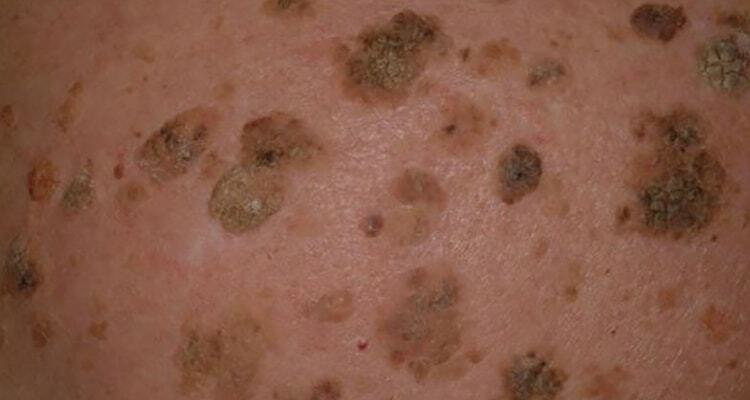 Seborrheic keratosis is a skin growth which usually appears in middle-aged and older adults. It is non-contagious and benign. Some people get just one but it is common to have many. It starts as slightly raised light brown spots and particularly small in size, gradually thicken and become warty and rough. Over the time, they may slowly become dark in color and turn black. Changing color of these skin growths is not a cause for concern and have various size ranges from a pea size to a rupee coin. These growths can appear almost anywhere on the skin of the body but not on the palms or soles. They are superficial in nature and appear as if stuck on the skin. They may cause no pain but some may itch. 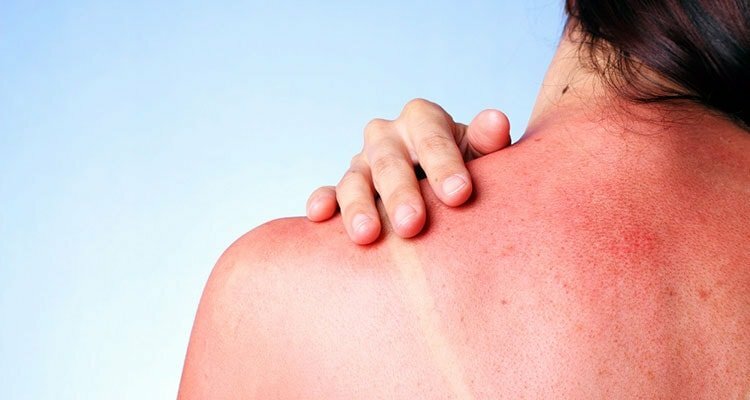 In general, these skin growths do not need to get treated but removal becomes important when the growth becomes large which causes discomfort and irritation when clothes or jewellery rub against it or when unsightly to the patient. Do not try to scratch or remove a seborrheic keratosis yourself as there is a risk of infection. Treatments available to treat these skin growths include Electrosurgery (electrocautery) or laser ablation which involves numbing the growth with an anesthetic and using an electric current to cauterize (burn) it. A milium (Milia) is called with diverse names like milk spots. These are tiny bumps that are common in babies but can happen at any age. 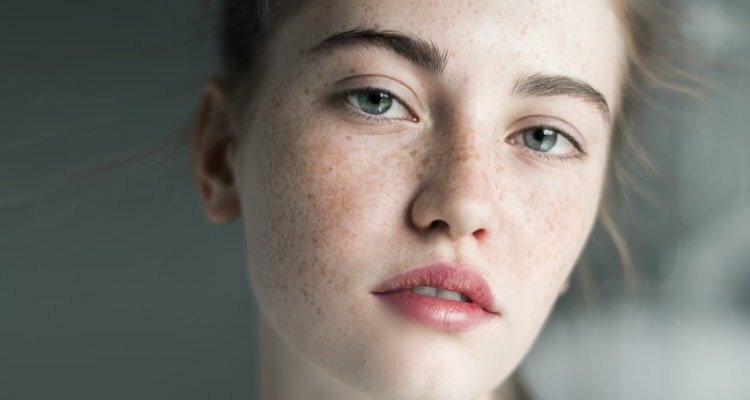 Milia are most usually seen on a child's nose, chin or cheeks; however, they may also occur in other areas of the body such as on the upper trunk and limbs. It takes place when the dead skin is trapped in small pockets at the skin surface. Adults may develop milia on the face. Milia can also occur on parts of the body that are swollen (inflamed) or injured. Milia can be treated using a sterile needle to pick out the contents of the cyst or by laser ablation. There is no known prevention till date. 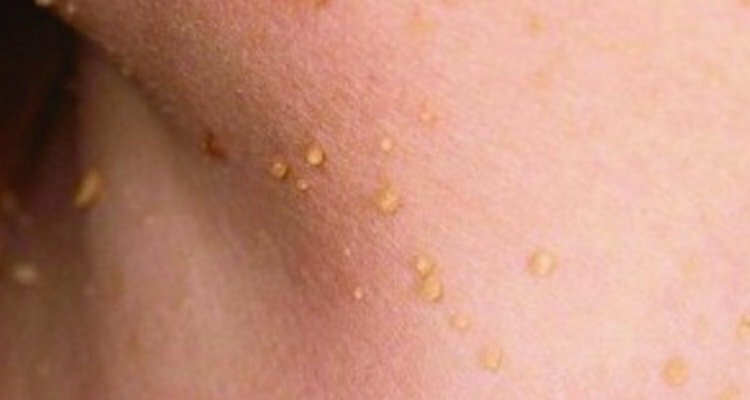 Also known as DPNs- these are small skin growths that commonly occur on the face and neck in Asians. Treatment of DPNs in most cases is considered cosmetic and are usually removed with an electrical current that causes the lesion to dry up and fall off, damaging only the pigment cells in the normal skin. A skin tag that occurs generally on the body or face is a benign (non-cancerous) skin growth. They vary in size, some are similar to the size of a pea or some as large as a big grape. They can be smooth or wrinkled and with different colors like some can be skin-colored or some just slightly darker than the skin color. The skin tags can be generally seen on the eyelids, neck, underarms, upper chest, under the breasts and groin but is not limited to these areas and can grow anywhere on the body. Skin tags are more likely to be seen on obese people and can appear as a sign of pre-diabetes. Also, as we age the chances of getting a skin tag is more. 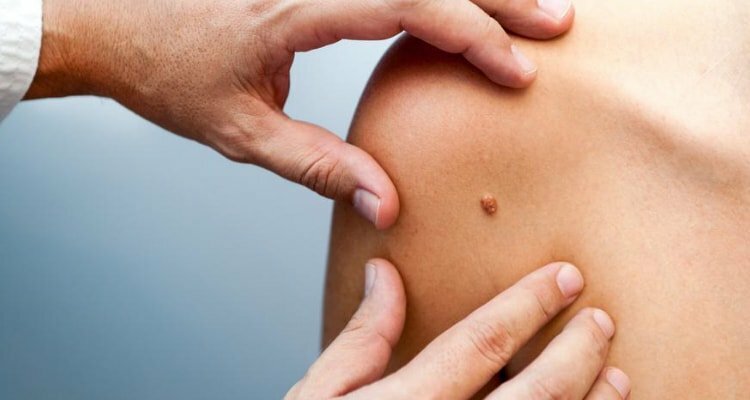 It is observed that the skin tags usually grow in the areas where clothes and skin rub, so another possible reason for the appearance of skin tags can be friction from clothing. They may occur alone or in groups and are often seen along with acanthosis nigricans (AN), a discoloration in patches of skin. Skin tags may need treatment if they become sore from rubbing against clothing or jewelry, or if you find them unsightly. Treatment options include removal of skin tags by electrocautery/laser ablation.